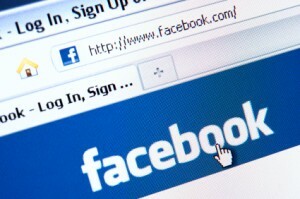 A New York judge recently ruled that a couple’s Facebook profiles could be used as evidence in child custody decisions. Lawyers were able to show that one parent was away from home too often to be the “primary caregiver,” according to an article in the New York Post. Facebook profiles contain considerable amounts of information about their owners’ lifestyles, plans, and preferences. Experienced Long Island divorce and child custody lawyers caution their clients to participate on social media thoughtfully. Don’t let a Facebook post or a Four Square check-in derail your custody negotiations. Never talk about your divorce online. Instead, seek out the help of friends you trust in one-on-one get-togethers. You never know how far an online message will travel. Understand and use your privacy settings. Every social media site has privacy settings that allow you to control who can and cannot see your account. Always pay attention to privacy settings. Ask yourself, “Is this how I want people to remember me?” If it’s not a post you would want your children to read or your family to see at the end of your life, don’t post it. Build an offline support system. Reach out to family and friends you trust, take up a hobby or activity you’ve always wanted to try, work with a qualified therapist, or keep a paper journal. The stronger your support system offline, the less you will feel tempted to vent online. If you or a family member need to talk with an experienced Long Island divorce and child custody lawyer, don’t hesitate to contact the Law Offices of Paul A. Boronow, P.C. at (516) 227-5353.